It may be a clever marketing ploy, but brokers are poking holes in one big bank’s mortgage promotion that offers free mortgage switching from existing lenders – and an enticing cashback offer. 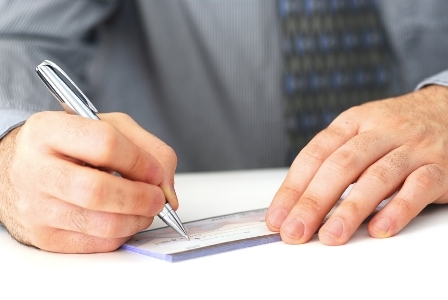 “If a client is wanting to switch before renewal time, then it's likely the current lender will impose a prepayment penalty based on the greater of three months interest or an Interest Rate Differential calculation,” Bill MacDonald, an agent with Invis, told MortgageBrokerNews.ca. In many cases, that IRD penalty can amount to thousands. 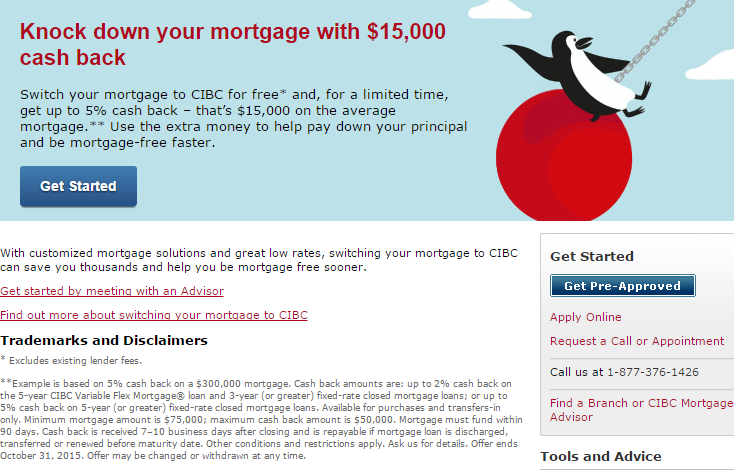 CIBC is currently advertising a campaign that allows clients to switch their existing mortgage for free. The campaign – which is being pushed online and in print advertisement, including A-frame boards outside branches – tells potential clients that, for a limited time, they can switch their mortgage to CIBC for free, and get up to 5% cash back. A disclaimer also states that the “free” switch doesn’t include existing lender fees. But it’s the cashback mortgage that brokers may view as the bigger problem. Regulators have long advised against cashback mortgages, with OSFI recommending urging default insurers not to underwrite these loans. For their part, brokers are wary of cashback options because, as MacDonald explains, they often cost clients a hefty sum in interest. CIBC announced last week that it had funded $165 billion in mortgages during Q2 -- a $7.7 million spike over the previous quarter. See below for an example of the ad. Calls to a CIBC rep were not returned. Nice magic act by CIBC, with the good ol' "sleight of hand" trick.